It's been a crazy week here as I prep for Morgan's Turkey Day bash, but I wanted to pop in and see how you all liked Slay Bells Ring. Did you have as much fun reading it as I had writing it? Without giving away too much, I have been asked a few times about Dakota. Will he show up again? Will he be around? I have a trilogy planned for him, and it involves Bonnie. If you've read the book, you know what I'm talking about. It won't be this year, or 2016, but you might see it in 2017. I've never written a book with the male as the main focus. Usually, it's the women who choose their amazing men, but I'm flipping the script on this one. Anyway, if you've read Slay Bells Ring, please pop on over to Amazon and leave a review. Believe it or not, each one matters. Over the last few books, I've seen some new people reviewing, and I am beyond grateful. If I've made you happy, drop me a couple words on Amazon. 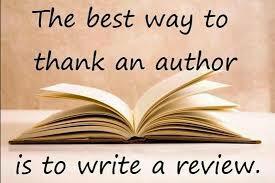 With their restructuring, they are making it harder for Authors to get reviews. I need to know if I'm doing well, or you want me to change something. Plus, they don't promote an author until they get a certain amount of reviews. Good or bad. So please, take a few minutes, head on out, and tell me what you thought of Slay Bells Ring. In about a week, February's books will be going up for preorder. There will be two FBI books released two days apart. I believe it will be Feb 10th and 12th. The first book, Past will Haunt, is going to be a flashback book. It takes place 15 years ago, when Elizabeth, Ethan, and Chris Leonard were just starting out. You'll meet a younger, less tough Gabriel Rothschild, and see how Livy bagged her big strong man. You'll find out what happened with the Irish Butcher, and what Elizabeth did out of grief, pain, and for the love of friendship. You'll find out why she and Chris Leonard are close. You'll also meet Ethan, and watch him struggle to become the man he is today. After all that, you'll flash back to the present with Choices will Destroy, and see what Elizabeth and Gabe's decision did to alter the future. Will it cost them now? Will they lose it all? Also, big things are coming in the series. I can honestly say, it wasn't planned, but it happened during writing. The story tells itself, and this one was no different. I hope you enjoy it as much as Rachel and Laura did. Anyway, happy Friday, thank you for reading my books, and leave a review!!! !